The Daily Meds vocal trio strike hard with a special blend of tongue-trickery and not-so-savoury sooth sayery. Three poets who recently took a break from Reverse Polarities, have teamed up with the ultra fresh producer/guitarist extraordinaire Roleo, to mould a pungent and addictive vibe for present and future heads to boogy to. Saucy stories of dance floor disarray and nonsensical party escapades rouse the crowd into a sweaty frenzy. Manic hype is then juxtaposed with fresh social commentary, metaphysical and moral philosophy and talk of global ascendancy. One man on guitar spinning dirty, dirty beats, two smart lads and one bent soulful diva = your recommended Daily dose of Meds! Since the bands formation in 2009 they have supported The Thundamentals for 3 consecutive single launches. They also helped to launch the popular Sketch the Rhyme show which is now a national touring success featuring their very own P-Smurf. Independently they have rocked venues such as The Gaelic Club, The Basement, The Abercrombie, The Factory, Oxford Arts Factory, Newtown Fest, Surry Hills Fest, High and Dry, Peats Ridge and many more. No doubt their mutual drive to fuel the party will set them soaring higher than ever in 2010. The lineup is complete! 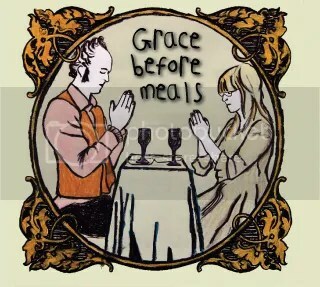 Grace before meals are the final band to confirm for the exciting 4th show in The Nest series. Stay tuned for details to come. Grace Before Meals are a new-ish band who had their debut show in 2008 at The Cad Factory in Sydney supporting Mick Turner (The Dirty Three) and Jeffrey Wegner (The Laughing Clowns). The band exist as a four or five piece featuring piano, xylophone, percussion, clarinet, voice, viola, bass guitar, trumpet and all manner of found things. They combine their love for soft, creepy, beautiful music, with maddened carnival stomps. Listen to all their songs, the next is often different from the last.